Fri 11am | 16.2km XC race. Discover the beauty of Lake Jindabyne as Stage 1 takes riders on an epic journey around this stunning foreshore. Stage 1a starts at Claypits Park in Jindabyne and finishes at Hatchery Bay, followed by a 15min break at Hatchery Bay and then into Stage 1b from Hatchery Bay back to Claypits Park. Sat 1:00pm | 5.8kms of flowing downhill racing including the Gunbarrel chairlift to the start of the stage and finishing up at Friday Flat before continuing straight into Stage 5. Sunday 8:30am | Finish up with 45k’s of epic riding as we Release the Cracken! on the 15k XC circuit in and around Lake Crackenback Resort & Spa. The Snowies MTB Festival is back in 2019 with the iconic Snowy Mountains playing host to the ultimate mountain bike experience. In 2019 a NEW STAGE 1 has been added to the festival on Day 1 taking in the stunning vistas of Lake Jindabyne. As National Parks have advised that the new Thredbo Valley Trail between Jindabyne and Lake Crackenback Resort & Spa will not be available for event use in Feb 2019 we’ll have to save that special treat for the 2020 festival. So, in 2019 Stage 1 will take in the spectacular foreshore vistas of Lake Jindabyne to kick off the festival. This means the festival will be three days of riding in the Snowies starting on Friday morning and finishing up at around 2pm on Sunday afternoon. Riders will be challenged with 6 stages across 3 days in rugged mountain terrain. With the event hub at an altitude of 1,260m, the festival includes over 110k of rugged mountain terrain, technical single track, a mammoth ascent, and some awe inspiring downhills, making this one of Australia’s most iconic mountain bike stage races. Join us in what is arguably Australia’s most affordable and logistically convenient MTB stage race where you can just relax with your mates in two of Australia’s most welcoming resorts, and focus on the epic riding that only the iconic Snowies can deliver. OR choose to do just the 45k marathon, 30k or 15k XC MTB on Sunday in this ‘not to be missed’ Mountain Bike Experience. 16.2km XC race. It’s time to take you on a journey to discover the spectacular natural beauty of Lake Jindabyne as Stage 1 takes riders on an epic journey around this stunning foreshore. This stage showcases the very best of the awe inspiring alpine scenery around Lake Jindabyne. Get ready for a huge helping of enjoyment as the Hatchery link takes riders on a roller coaster ride of fast, flowing single track trails while also providing some of the very best views of this incredible man made lake. We challenge you not to be smiling at the end of this super fast blast. Stage 1a starts at Claypits Park in Jindabyne and finishes at Hatchery Bay, followed by a 15min break at Hatchery Bay after the final rider has finished. Riders will start in up to ten waves based on category. Times will be published on the notice board a registration. After a short 15min break it’s into the second part of stage 1 which includes some extra pumping fire trails and pinchy climbs before swinging back into the flowing single track from Hatchery Bay back to the celebrations and the finish line at Claypits Park in the heart of Jindabyne. After the finish riders will make their way back to the 4 star luxury of Lake Crackenback Resort & Spa and a well deserved rest and relax at the Alpine Larder before we kick into Stage 2, the Happy Hour Time Trial. Riders will start at 30 second intervals to smash out a single 5.5km time trial lap of the flowing single track around Lake Crackenback Resort & Spa. Time Trial times count towards the overall standings and the fastest Stage 1 Elite male and female riders will be awarded Leaders’ Jerseys that will have the other riders shaking in their cleats as we move into Stage 3: The Thredbo Summit Smash. Ascent from Lake Crackenback to Thredbo. Stage 3 gives riders a chance to show the Snowies who’s boss with a 19.5km race up to Thredbo Village from Lake Crackenback Resort & Spa. With a mass start after the Elite riders are away, competitors will be challenged with an elevation change of 530m on this iconic ride that culminates at Friday Flat at Thredbo Resort. 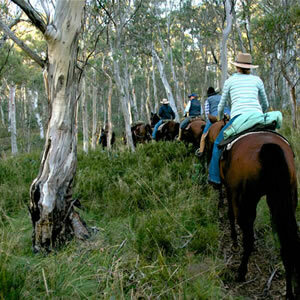 The Thredbo Valley Trail presents some of the best riding trails found anywhere in Australia. Yes, you’ll be gaining height, but you’ll be doing it along deceptively undulating single track that twists and turns with flowing descents along the way. Even though you’re racing hard, riders will enjoy some of the most spectacular views in the Snowy Mountains Region as the Thredbo Valley Trail leads you on a gradual climb through diverse landscape including mountain ash forest, snow gum woodlands, riverine woodlands, mountain bog, wet heath and sub alpine grasslands. Among the many highlights of the trail are the numerous suspension bridges spanning the river, offering riders a brief reprieve from the sound of rubber on dirt, as well as spectacular views of the Thredbo River from above. During this stage riders will be afforded rewarding views of Porcupine Rocks exploding out of the rugged realms of the Ramshead Range, and discover a hidden gem in the Muzzelwood Wetlands. The Event will now be using the Gunbarrel Chairlift from Friday Flat, directly to the Start of Stage 4. This means there is no traverse required, just the Gunbarrel chairlift straight to the start! If, however, you would still like to use the Kosciuszko lift and access the start at the top of Gunbarrel via Merrets Traverse then you can choose to do this, however, please be aware that the route from the top of the Kosciuszko lift will not be signed with event signage and you will need to allow at least 45 mins for the transfer. Please follow Thredbo signage to the ‘All Mountain Descent from the exit point of the Kosciuszko lift. Please also note that the Merrets Traverse is a highly technical ride. Stage 3 of the festival will finish at Friday Flat at Thredbo. At the end of Stage 3, why not head up to the Village Terminal where you can grab some grub at the many restaurants and bars or how about some retail therapy at Thredbo’s many retail outlets. Don’t forget to show your 10% discount voucher from your race packs to save. But don’t get too cosy, Stage 4 awaits and it’s time to check your gear at the transport bus and check in for the Thredbo All Mountain Descent at Friday Flat, where you finished stage 3. If, however, you would still like to use the Kosciuszko lift and access the start at the top of Gunbarrel via Merrets Traverse then you can choose to do this, however, please be aware that the route from the top of the Kosciuszko lift will not be signed with event signage and you will need to allow at least 45 mins for the transfer. Please follow Thredbo signage to the ‘All Mountain Descent from the exit point of the Kosciuszko lift. Please also note that the Merrets Traverse is a highly technical ride. After a thrilling chairlift to the top of Gunbarrel Chair, in the shadow of Australia’s highest peak, Mt Kosciuszko get ready to delight in 5.8kms of epic downhill on Thredbo’s All Mountain Trail finishing up at Friday Flat before continuing straight into the Stage 5 Gravity Check heading back, along the Thredbo Valley Trail to Lake Crackenback Resort & Spa. Stage 4 includes a non-competitive transfer where riders will ride the Gunbarrel Chairlift from Friday Flat to the Start of Stage 4. Riders will start at 30 second intervals and start times will be published on Friday Evening at the Pizza Party at Alpine Larder. It is important that riders check their start times and ensure they allow enough time to travel to the start. Riders should allow at least 30 minutes to travel on the lift to the start, to allow for any possible delays. The Gunbarrel chair lift is a real experience in itself. The chair lift, for one person, is included with each solo and team entry. To enter the chair lift riders display a Snowies MTB Race Plate on each bike. Each chair can transport one person & bike at a time. Each chair is equipped with a bike rack, located on the rear of the chair. On approach, follow the lift attendants directions. Stand with your bike on it’s rear wheel with the front wheel in the air. Place the front wheel in the bike rack and then move to the front of the chair to sit down. Ensure the safety bar is lowered and remains down for the entire journey. On arrival at the top of Gunbarrel, alight the chair lift where indicated and remove your bike from the rack. What does Andy Blair have to say about this Stage? “The new Thredbo All Mountain Trail is fantastic. After the thrill of the Thredbo All Mountain Descent riders pass through the timing point at Friday Flat and continue riding straght in the the thrills of the Stage 5 Gravity Check on a downhill mission to Lake Crackenback Resort & Spa. You’ll be glad you took in all the scenery this amazing trail has to offer on your Stage 3 climb, as the fast flowing single track on the Descent will have you engrossed in the pure thrill and exhilaration that perfect, downhill flowing trails can deliver. Time to remember what it’s like to be a kid again on this roller coaster ride of pure joy on iconic mountain trails. It’s not all easy-rolling though – once you reach the end of the Thredbo Valley Trail the course takes an action-packed turn for the first time onto the technical single track traversing the Thredbo River Trail, before returning you to Lake Crackenback Resort & Spa for a well-earned rest. After a night of well earned rest Sunday morning sees riders back on their bikes ready to tackle the 6th and final stage of the weekend – as we RELEASE THE CRACKEN across 45km of riding that will test even the most hardened riders. The course is a spectacular 15km lap and the 3 laps riders bash out to complete the 45km marathon will fly by as you’ll be having too much fun to notice the screaming legs from the previous 5 stages. With some of the best riding in Australia, Lake Crackenback Resort & Spa’s mountain bike trails encompass 2 alpine lakes, Thredbo River, Kosciuszko National Park and spectacular views of the Thredbo Valley and Ram’s Head Range. The resort’s mountain bike facilities rate with the very best in the nation, highlighted with sculpted flowing single track and the Caroline Buchannan Mountain Bike Park. The course’s is a 15km clockwise lap which takes in the beautiful flowing berms and switchbacks on the trails heading out of the resort, then crossing the Little Thredbo River before heading into the National Park and the Muzzelwood Trail. After passing the diggings the course then takes in the all new river trail, with some fun technical sections before returning back to the Thredbo River. But before you hit the home stretch the trail veers left and heads out along the picturesque, flowing riverside single track, following the twists, turns and contours along the water’s edge before returning to Race HQ. The course is a Mountain Biker’s dream, comprising approximately 80% grippy, flowing single track – but it’s not all easy rolling! Riders will regularly be forced to draw their gaze away from the spectacular views to negotiate the rocky paths, bridges, rock gardens and creek crossings which will require some technical skills to tackle effectively. A large proportion of Lake Crackenback Resort & Spa’s mountain bike trails are undulating fast sections of flowing single track providing very little respite for the legs which will be pumping all the way. The trails will advantage both technically skilled riders who will be able to carry speed through the tight terrain as well as strong riders who will be able to make up time grinding out the open sections with small pinches and hills. We anticipate some very fast times but we also expect all riders to experience the most enjoyable and spectacular riding found anywhere in Australia. The course is signed with yellow In2Adventure signs with black arrows. Locations where the course splits for different stages are signed with A3 signs indicating the correct route for that stage. Cones and tape are also used, follow the course as indicated by the signage. Please note the course will also be marked with white signs with red arrows for the Trail Run Australia event. Riders are advised to follow ‘Bike’ signage only. To celebrate the amazing achievement of finishing the six stages of the Snowies MTB Festival, each finisher in the stage race will be presented with this finishers medallion. A $5,000 cash prize pool will be presented for the Elite Category. After a massive three days of riding we look forward to celebrating our champions and place getters at the presentation ceremony and post race BBQ at Lake Crackenback Resort & Spa on Sunday afternoon. Festival presentations will take place around midday, however this is an estimated time and may be earlier or later depending on the progress of riders on the final stage. Please listen out for announcements at Race HQ for updates. Medallions will be presented to 1st, 2nd and 3rd place as well as a sponsors prize for first. We value the opportunity to celebrate our stage winners and as such it is important for Elite podium places to attend the presentation ceremonies as outlined above. If an elite rider chooses not to attend any of the applicable presentation ceremonies they choose to forfeit 10% of their overall prize money applicable for each presentation that is missed. Click HERE for the full list of riders and teams as of 5pm Friday 1st February. A small number of late entries will be available from 9am Saturday 2nd February on a first come first served basis. All competitors are required to register at the registration times listed below. All stage race riders must check in before the start of each stage at the times listed below. Registration at Lake Crackenback Resort & Spa will take place at Race HQ on the village green. Registration for Stage 4 & 5 at Thredbo will take place at Village Terminal. Each solo rider will be issued with a numbered race plate. This is to be clearly displayed on the front handle bars of the bike at all times when racing. Each team member will be issued with one race number per team and one backing plate per person. Team riders attach the backing plate to the front of the handlebars and the rider who is currently completing attaches the race number to the backing plate using the velcro on the plate and number. Race plates can then easily be swapped between team members, especially in Sunday’s marathon. The race number can be attached to the handlebars using the ties provided at Registration. Ensure the number is safely secured. If your number is lost on the course, you must report the loss to the Race Director immediately. An electronic timing chip will be attached to the rear of the race plate to record lap and finish times. A Mobile Phone with emergency numbers entered (Telstra recommended). Please see the notice board at Race HQ for emergency details. Mountain Bike – In good working order and with plugs in the handle bars. Bike Helmet – The bike helmet must be in good condition and meet Australian Safety Standards. Suitable Layered Clothing: The weather in the Snowy Mountains is unpredictable and changes very quickly and can be very cold. Ensure you have some layers that you can put on and remove in changing conditions. This should include a waterproof layer in case of rain. Riders in the Snowies MTB Festival are expected to be self-sufficient for each of the stages of the event. No support is provided or permitted on the course, therefore it is important that riders have the capacity to carry sufficient hydration and nutrition for the stages of the race. Please note this excludes the 45k Marathon and 30k and 15k XC MTB which will include a ‘Feed Zone’ at Race HQ at the end of the 15km lap. Spare batteries for any bike computers or heart rate monitors. The weather in the Snowy Mountains is unpredictable and changes very quickly and can be very cold. Ensure you have some layers that you can put on and remove in changing conditions. This should include a waterproof layer in case of rain. A change of clothes for the stage after parties. It is recommended that you have trained in any clothing that you choose to wear on the day of the race. Trying something new on race day is never a good idea. STAGE 1 | TRAVEL REQUIRED: After registration at Lake Crackenback Resort & Spa, Stage 1 starts and finishes at Claypits Park in Jindabyne which is approx 15mins drive from Lake Crackenback Resort & Spa. Riders are to make their own way to and from Jindabyne for Stage 1. For those of you travelling solo, Lake Crackenback Resort will be offering a bus shuttle and bike trailer service for stage 1. Places are limited and pre-booking and payment is essential. Places will be allocated on a first come basis. A bus will be available at the start of Stage 3 for riders to leave equipment bags which will be transported to Thredbo for riders to have spare clothes and equipment between stages 3 and 4. Another bus will then be available to deposit equipment bags which will be transported back to Lake Crackenback Resort & Spa to collect at the end of Stage 5. Riders may leave one bag only (Maximum size of 20 litres). This service is provided free of charge by Lake Crackenback Resort & Spa. Only one team member may race at any time, and only the designated rider is permitted on the course. Your safety is a key consideration; however, mountain biking does involve risk. Dedicated first aiders are on hand at Race HQ and on the course to assist where necessary. Ride on the left hand side of tracks. For those of you who entered before 1st November 2018 you’ll be receiving your FREE Snowies MTB TShirt in your race pack. But don’t worry if you missed out there will be a few on sale during the event for $30. Each entrant in the Snowies MTB will be receiving a FREE Do-Rag in their race pack. At In2Adventure we love our fur kids too, however, domestic pets ARE NOT permitted within Lake Crackenback Resort grounds or within Kosciuszko National Park, so please leave them safe at home to avoid being asked to leave the event site. Some companion animals are trained to provide assistance to people with a disability to help alleviate the effect of that disability. These assistance animals are not pets. They provide an important service that helps people to more fully participate in personal and public life activities with more confidence and independence. Please see the National Parks Policy on Assistance Animals. Human Rights Commission guidelines on Assistance Animals. Join us at the Alpine Larder on Friday Evening during the during the Stage 2 Happy Hour Time Trial for the Snowies MTB Pizza Party! Competitions, music, interviews and fun hosted by our resident MC’s; Lachie and DJ Pat. Cost is $30 per head and Pre booking is ESSENTIAL as places are limited to 60 bookings so BE QUICK as it will be ‘first come, first served’! After a hard day of racing there’s nothing better then enjoying a meal and a few drinks with your mates and sharing a few war stories about the days action! Join us in Cuisine Restaurant on Saturday Evening for a Celebration Dinner hosted by our MC Lachlan Wills and DJ Pat as we celebrate the day with photos and videos of the days racing. Jeannette from Elevate Physio will be on hand at the event to ensure all our athletes are feeling great & ready to race! Elevate Physiotherapy welcomes everyone from the elite athlete to those who enjoy being active in everyday living. Whether competing in recreational sport or simply wanting to increase mobility and fitness levels in day-to-day activities we can offer advice on treatment, exercise prescription and self-management programs that will return you to your optimal level of activity in the shortest possible time. Elevate Physiotherapy is conveniently located in the centre of Jindabyne, within the High Country Fitness Gymnasium. If required clients of Elevate Physiotherapy are able to access the first class facilities of the gym in order to maximise their rehabilitation outcomes. Saturday: 2:30pm to 5:30pm| Limber up after the three stages on Saturday ready for Sunday Morning’s Marathon. A big welcome to Kosciuszko Brewery, brewers of the ever popular Kosciuszko Pale Ale. Try your free taster at the Friday Night Pizza Party at Alpine Larder (bookings essential) and look out for some great prizes and giveaways throughout the weekend. The Kosciuszko brewhouse, is located at Banjo Patterson Hotel in Jindabyne. Stop by for a cold Kosci Pale Ale with Licencee Cameron or assistant brewers, Chuck & Rich. Ask our staff to take you for a tour to see the wonderfully brewed Pale Ale. Our original Kosciuszko Pale is a 4.5% alcohol, slightly cloudy ale that challenges the limits of the traditional Australian Pale Ale. Crafted from a blend of Pale & Munich malts, and brewed using Tasmanian grown Galaxy hops our pale ale delivers a pleasant maltiness with a refreshing fruity hop finish. Brewed for enjoyment after a hard day of skiing, hiking, fishing or just relaxing in the mountains, it’s an ale that is always in season. In2Adventure are proud to be partnering with Bear Naked Bars. Keep an eye out for your free bar in your race pack to keep you energised for the days racing. A big thank you to our official floral supplier for the Snowies MTB Festival, CH Floral Designs. Specialising in flowers for your special Wedding Day, Corporate function or Event. Beautifully designed Bridal bouquets, Flowers for the groom, Ceremony and Reception Flowers. Chellie and the team will be providing the beautiful bouquets to present to our Stage winners and GC Champions. Visit CH Floral Design Website here. Stay at the heart of the Snowies MTB action at Lake Crackenback Resort & Spa. A natural playground, the Resort’s spectacular setting and unique offering has something for everyone. Guests come here to relax, rejuvenate and activate. Race HQ for Stage 1, Stage 2 and Stage 5 is based in the heart of Lake Crackenback Resort on the grassed area opposite Alpine Larder. Spectators and visitors have a great view of the start, mountain bike and finish from here. 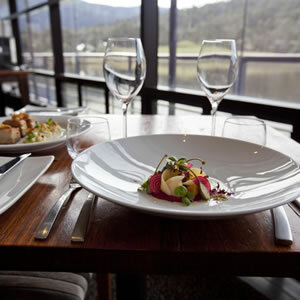 There are over 30 places to relax, sip and dine in Thredbo. With cosy bars, late and lively night spots, live music venues and dining options ranging from à la carte, càfe style, casual bistro, tapas, BBQ or grab and go, you’re sure to find your favourite. Race HQ for the finish of Stage 2 and Stage 3 and the start of Stage 4 is based at Friday Flat. Race HQ for the Start of Stage 3 is based at Village Terminal. Drop into a local Snowy Mountains Visitor Centre, a great place to find out what to do in the Snowies. Information on local tour and hire operators, regional maps and assistance in getting you oriented with the Snowies. There are four main Visitor Centres, Cooma, Jindabyne, Tumut and Tumbarumba. The friendly staff are there to help you get on your way. A stopover in Sydney is a fantastic option before your journey to the Snowy Mountains. Sydney Australia is one of the world’s most loved cities and it has a lively and vibrant buzz that makes it the ultimate destination throughout the year. There are always plenty of things to do in Sydney – from world-class dining, shows and entertainment, to sightseeing and great walks or fun in the sand at one of Sydney’s idyllic beaches. The Snowy Mountains are located approximately 470km from Sydney airport and will take just under 5 hours to drive. Click on the map or go to Google Maps for driving details. Canberra is the Capital of Australia and the nearest airport to the Snowy Mountains. It is 195km trip from Canberra Airport and just over a two hour drive. You can hire a car and drive or take the NSW regional coach link, however with limited public transport within the Snowy Mountains car hire is the best option for travelling to the event and enjoying the region while you are there. The drive along the Monaro Highway to the Snowies is one of the most picturesque drives in the country with lots to see and do along the way. See details below for more information. It is 195km trip from Canberra Airport to the Snowy Mountains and just over a two hour drive. NSW Trainlink run a coach service between Canberra and Jindabyne. Jindabyne is 20 mins by car from Lake Crackeback Resort & Spa. The service operates on Mondays, Wednesdays and Fridays and the cost is $25.48 one way. 3 Day Event 1 Day Special Entry. First 100 Entries Super Early Bird. Next 100 Entries received before 30/9 Early Bird. All Entries up until 30/11 Standard Entry. Sunday XC Race Early Bird. All Entries up until 13/01 Standard Entry. Entry & Parking to Lake Crackenback Resort & Spa and Thredbo Resort. Please note this does not include the NPWS entry fee when driving to Thredbo Resort. Please see details in NPWS Fees. Secure online entry system is provided by eWay and payment is by Visa, Mastercard or American Express. Online entries close 5pm Friday 1st Feb’ prior to the event. Where an event is not fully subscribed by close of entries at 5pm on 1st Feb 2019 late online entries will be made available. IMPORTANT NOTE: ALL LATE ENTRIES MUST BE COMPLETED ONLINE USING PHONE, DEVICE OR COMPUTER ONLY. How Do I Enter a Late Online Entry? Join the ‘Late Entry’ Queue at Race HQ, show your entry invoice and collect your race pack. To avoid disappointment, please check this page prior to event day to check if ‘Late entries’ are available prior to travelling. *Note: if there are less than 10 entries in any category the organisers reserve the right to amalgamate the category. *Note: if there are less than 10 entries in any category the organisers reserve the right to amalgamate the category. *Note: if there are less than 10 entries in any category the organisers reserve the right to amalgamate the category. *Note: if there are less than 10 entries in any category the organisers reserve the right to amalgamate the category. *Note: if there are less than 10 entries in any category the organisers reserve the right to amalgamate the category. Participants must be at least 15 years of age on the first day of the event. Participants must be at least 15 years on the day of the event. Participants must be at least 13 years of age on the day of the event. Participants must be at least 10 years of age on the day of the event. National Parks charge a fee of $17 for a day pass to access Thredbo Resort. The pass is purchased at the toll point on the road the Thredbo. Those who wish to visit more often may choose to purchase a 5 day pass. It is important to note that these charges apply when driving to Thredbo Resort, for all competitors riding to Thredbo Resort the national parks access fee is included in your event entry. Full details about National Parks Charges are listed below. Every effort has been made to keep entry costs to an absolute minimum, however we are keen to encourage families to be involved in the Snowies MTB Festival and we do understand that entries for a large family can add up. The names of those in your family who will be taking part in the Snowies MTB Festival and the events they will be entering. We will consider each request on an individual basis. Entries must be for members of one family unit. Groups of friends are not eligible. An email does not guarantee a discount. A family discount will be offered only at the discretion of the Event Managers. Discounts will only be considered prior to entries being received. No refunds will be given as a result of a Family Discount. Entries must be made on the same order. If a discount is offered and the entry does not match the details in the email request In 2 Adventure reserve the right, without prior notice, to debit the difference in entry fees from the credit card listed on the entry. Can I take part on an e-bike? We have been approached to consider including an e-bike category in our races. We considered this, and spent much time talking extensively to many of our participants and considering points of view expressed on numerous forums. We listened to the points made both for and against with some valid points on both sides of the debate. However, after listening to our customers we ultimately had to revert back to our core values and what In2Adventure is really about as an organisation and what we wish to aspire to, and to deliver for our customers. We refer to one of our key values ‘Participation’. Participation does not mean just being at the event. We believe that our events should encourage and reflect personal achievement and that means completing an event under your own power, driven by your own physical effort, training, determination and personal goals and sharing that experience with others around you who are racing under the same conditions and challenges. This does not mean we hate e-bikes, or judge anyone who rides one. They fill a really great need in the mountain biking community. For those who may be a bit older, or recovering from injury and still wish to enjoy the outdoors on a bike, e-bikes are a fantastic alternative. We even own an e-bike which we use to carry all the equipment we need for for course marking. They can be a lot of fun to ride, however, with regards to an event/race, even if someone on a powered bike is not racing for places, based on what our athletes have told us, no matter how you structure the events or the starts, powered bikes do have an impact on other riders who are riding under their own power. Avoiding cut off times at our events and making every effort, where it is safe and practical, to allow athletes to finish the event. 5 Stage Race All riders in the stage race, either as a solo or team, as well as all riders in the 45km Marathon must be at least 15 years old on the day of the event. 30k & 15k Riders in the 30km MTB must be at least 12 years old and 15km MTB riders must be at least 10 years old. Can I enter after entry closure? If after the entry closure date the event is not at capacity, ‘Late Online Entries’ will be made available. These incur and additional an additional $30 fee and full details can be viewed here. Entries may close without notice when the event is full. When the event is sold out a notice will be posted on the event entry page. No licence or club membership is require to race the Snowies MTB Festival. No. Support crews are not required or permitted for this festival. Whilst we do recommend bringing the whole family along to cheer you on and meet & greet you at the end of each stage, the beauty of this event is that it’s easy to get to where you want to be at the end of the stages. The only travel that is required is to the start of stage 1 where riders will need to make their way from registration at Lake Crackenback to the start line at Lake Jindabyne which is an easy 15mins drive. Wondering how you’ll get that fresh set of knicks, some snacks and money for drinks to the other end? Well where it’s required, there’s a bus provided. Minimal travel is required between stages for the Snowies MTB Festival. The only driving required is for participants to travel to and from the start line for Stage 1, which will start from Claypits Park in Jindabyne, which is an easy 15 minute drive from the registration area at Lake Crackenback Resort & Spa. It is an easy 13-15 minute drive between the venues and there is ample parking at each. Please note if driving between Lake Crackenback Resort & Spa and Thredbo Resort, National Parks charge a fee of $17 for a day pass . The pass is purchased at the toll point on the road the Thredbo. Those who wish to visit more often may choose to purchase a 5 day pass. It is important to note that these charges apply when driving to Thredbo Resort, for all competitors riding to Thredbo Resort the national parks access fee is included in your event entry. Full details about National Parks Charges are listed below. Can I switch bikes between stages? Each individual rider must ride the same frame for all 5 stages. However, wheel changes are permitted. I’m not sure whether to bring my hardtail or dual suspension bike. Do you have a recommendation? This is really a personal choice and if you’re trying to make the decision chances are you know all the pros and cons of riding each type of bike already. The event is a Cross Country event, however stage 2 is predominantly uphill, stage 3 is an all mountain flow trail and stage 4 is predominantly downhill. Your dually will be a great all-rounder, but your hardtail will handle the terrain as well. Competitors are not permitted to wear personal audio equipment while racing. This is to ensure that riders can easily hear calls from officials and from other riders and ensure it is an enjoyable experience for all involved. Can I hire a mountain bike on site? Riders are expected to be self-sufficient for each stage of the event. No outside support is provided or permitted on the course. Full details are listed in the Equipment List. A decision on event cancellation or rescheduling may only be made on the evening before or in the day of an event. If an event is cancelled a notice will be posted on the event website. What if I have won a prize and I can’t stay for presentations? Your prize and medal will be posted as soon as possible, however, due to the fact that prizes are packed away in the event trailer and this sometimes has to be transported long distances there may be a wait time of up to 6 weeks. Unfortunately due to past circumstances, we are unable to allow for prizes or medals to be collected by other competitors as we are committed to ensuring that prizes are delivered to the rightful recipient. After 2 weeks following the event if prizes are unclaimed they will be returned to the prize pool for future events. Random Draw Prizes Only those present at the presentation ceremony will be eligible for random draw prizes. A Huge Thank You to our AMAZING Event Partners! Hey Buddy!, I found this information for you: "Snowies MTB Festival 3 Days | 6 Stages". Here is the website link: https://in2adventure.com.au/event/snowies-mountain-bike-festival/. Thank you.